Foles wasn’t very good in this one, with two interceptions and a bevy of near-misses on sailed and risky throws. But he threw a two-yard touchdown to Golden Tate on fourth-and-goal with less than a minute left to put the Eagles up 16-15, and the wild finish ultimately made that score the game-winner. Until that last doink, though, things appeared to be going the other way. After Philadelphia’s wildcat two-point conversion attempt failed, the Bears’ Tarik Cohen ran the kickoff back 35 yards. Bears quarterback Mitch Trubisky found Allen Robinson for 25 yards two plays later, dragging them to the fringes of Parkey’s range. The Bears kept pushing and taking shots—maybe because they knew their kicker, a former Eagle, had a unique and frustrating tendency to find the crossbar. 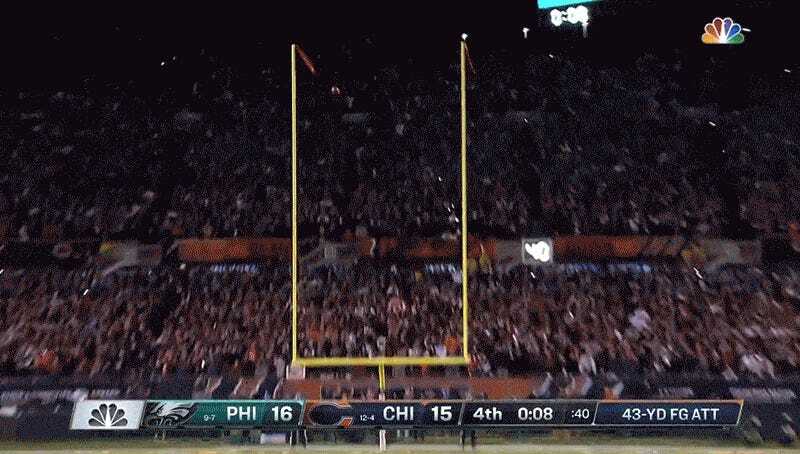 In November, Parkey pulled off the improbable feat of hitting four uprights in a single game, and he doinked an additional extra point in the Bears’ Week 17 win over the Vikings, which was the game that punched the Eagles’ ticket to the playoffs. The Eagles will play the Saints in the divisional round next weekend. 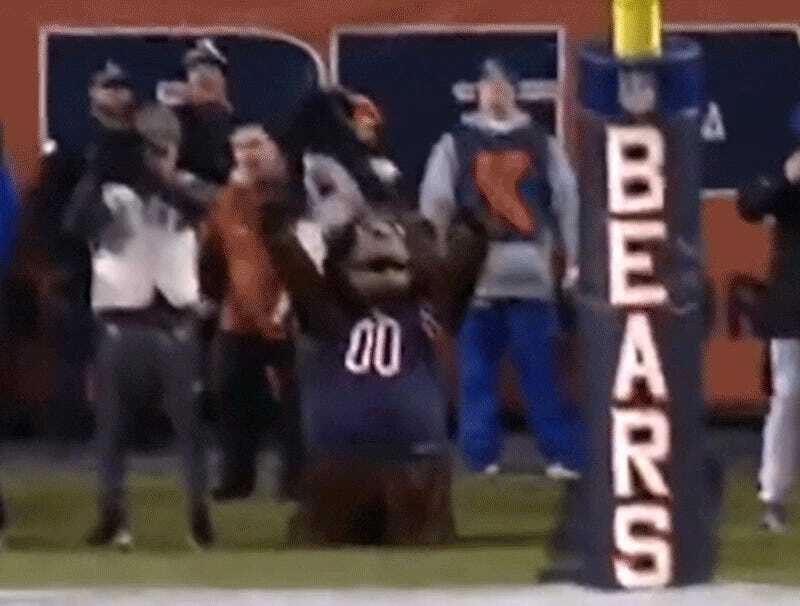 Also, someone please check on the Bears’ mascot. I don’t think he’s okay.